The downtown area isn’t just home to offices, restaurants, and hotels. It is also home to the Century Center, an award winning convention center on the St. Joseph River featuring 100,000 sq. ft. of adaptive, beautiful meeting and event space. Also gracing South Bend’s downtown is a world class civic auditorium - the historic Morris Performing Arts Center. The downtown’s south gateway is anchored by the spectacular Four Winds Field, the home of the Chicago Cubs Class A baseball affiliate - the South Bend Cubs. Throw in the South Bend Chocolate Company and several quality restaurants and you round out the vibrant and growing Downtown South Bend. With two retail spaces available, you can locate your business into the heart of South Bend's surging downtown and benefit from the amazing renewal of this city center. With incredibly diverse demographics, this area is perfect for nearly any retail and most service oriented businesses. You'll love being here, we'd love to help you discover these incredible spaces and determine if they're what you need to find success in your business. Reach Out For Showings, or Additional Details! Thank you! 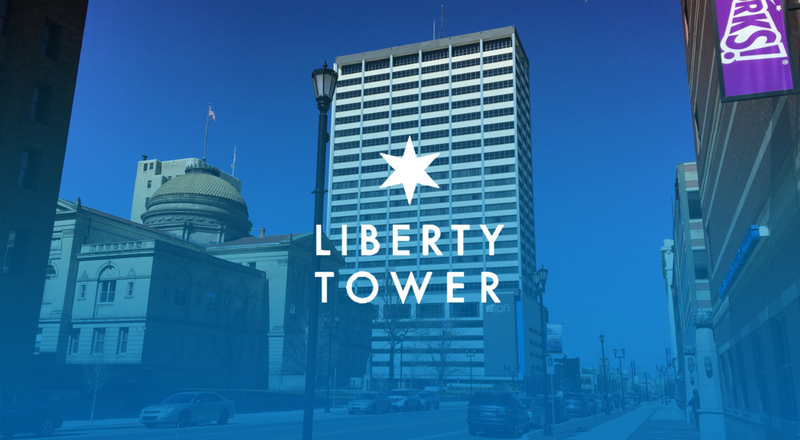 We’re glad you’re interested in the Liberty Tower retail opportunity. We’ll be reaching out to you shortly to follow up.